We are this close to being finished with Cora's nursery, but I thought I would share some of the ideas that inspired me along the way! 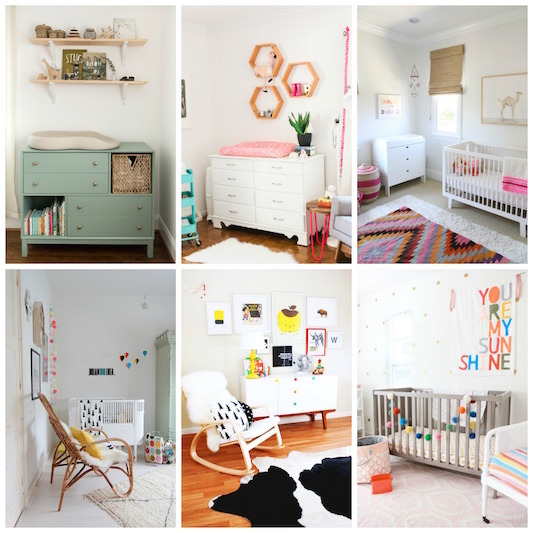 The feel of the room: I wanted a bright, airy nursery with lots of white and pops of bright colors. I found all of these nurseries to be so pretty and cheerful. 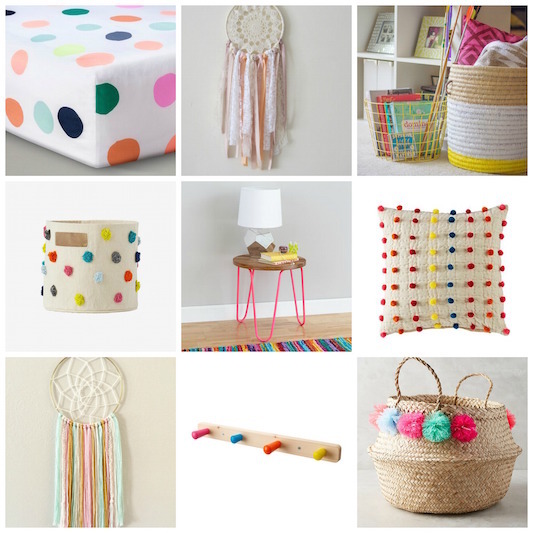 Pops of color in storage & decor: I had my heart set on those sheets, and I knew I wanted baskets in the room for storage. I was also thinking about having a dreamcatcher instead of a mobile. Art for the gallery wall: This tends to be the hardest thing for me... I am so picky! 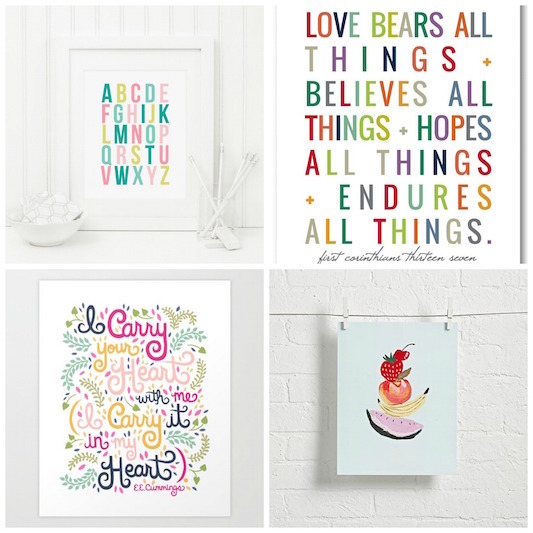 I loved the look of the type on these prints, and I also liked the idea of bringing in some fruit prints to the gallery wall. So there you have it - the overall look and feel I was going for, along with some of the specific pieces I had my eye on! Once Cora's room is all the way finished, I will be sharing photos here! I love all of these ideas!! Can't wait to see her room! The new article is important to show your customers your new trend and technologies. The peoples choose the essay writing service to share their latest news at this custom essay writing service . I think that this trend is so common that ordinary guys also like to do that. I loved the ideas, I am an artisan and my husband helps me a lot, our room is very colorful. All the photos that are here on the blog with chairs and pictures were you that did? Great creativity, I love pictures, in all my house has. I got a really good and positive inspiration from your work and decoration because it shows your class that how maintain your house and make more good by doing different kind of decorations and creativity. I'm an student and when i'm at home and have free time from my my assignment help UK so i'm also decor my home.